Mrs. Kennedy died Monday of a rare brain disorder. 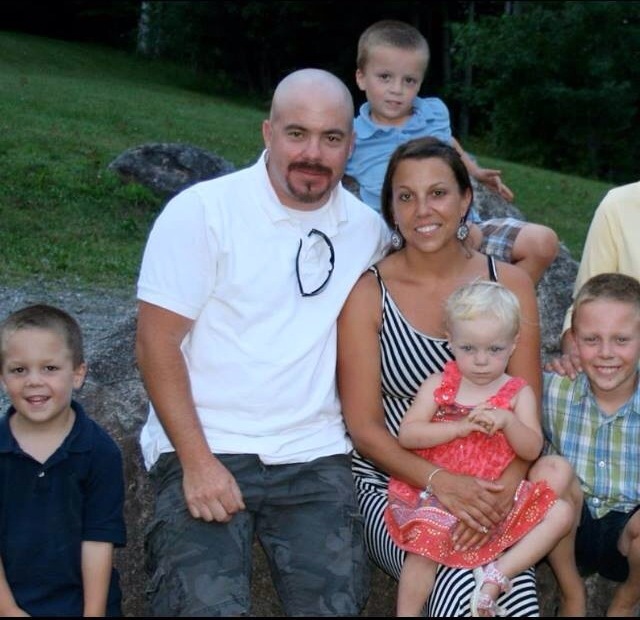 Sandra Kennedy, a 38-year-old mother of four who worked as a nurse at Maine Medical Center and dedicated her life to family, friends and the Kennebunk community, died Monday of a rare brain disorder. Mrs. Kennedy was diagnosed in February with Creutzfeldt-Jakob disease, a rare and progressive disease that attacks the brain and has no cure. An estimated one person per million is diagnosed each year. She was remembered Tuesday as a strong, compassionate and giving woman who brought joy and laughter to those around her. Her husband, Jake Kennedy, said she always put others before herself, especially their children, family and friends. Mrs. Kennedy was the mother of Tucker, 9; twin boys, Asher and Gunner, 5; and a daughter, Skyler, 2. Her husband said she was a great mom. He said she volunteered at their schools and kept them busy throughout the summers. “She was always doing something with them,” he said, rattling off trips to local beaches, Funtown Splashtown USA, and visits with family and friends from Boston to New Jersey. “She would just throw the four kids in the van and go. It was amazing,” he said. Mrs. Kennedy had worked as a registered nurse at Maine Medical Center in Portland since 2005. She spent the bulk of her career on a cardiology unit. For the past year and a half or so, she worked as a float nurse. “She truly cared and was a true advocate for her patients,” her husband said. He spoke with pride and admiration of how his wife lived and loved fully. He remembered the day they met, at his father’s funeral. She was there to support her friend, who married his older brother. They went out that night and fell in love, he said. Mrs. Kennedy had many close friends and many in the community are mourning her loss. Nina Pratt, a friend of 20 years, sobbed as she described a woman whose strength, courage and passion for life inspired everyone around her. In the weeks after Mrs. Kennedy’s diagnosis, the community rallied around the family with an outpouring of support. A Facebook page was created, getting close to 2,000 likes. Local businesses held fundraisers and an online fundraising campaign has generated about $79,625 toward medical expenses. Mrs. Kennedy’s husband took care of her until her death. “I’ll miss her laugh, her smile and her wisdom. She was super intelligent. She always had a different way of looking at things. She made me a better person,” he said.